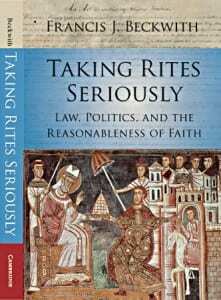 Taking Rites Seriously: Law, Politics, and the Reasonableness of Faith (New York: Cambridge University Press, 2015). Return to Rome: Confessions of an Evangelical Catholic (Grand Rapids, MI: Brazos Press, 2009). Law, Darwinism, & Public Education: The Establishment Clause & the Challenge of Intelligent Design (Lanham, MD: Rowman & Littlefield, 2003).